The drill on drill bits! While metric dimension drill bits all look quite similar to the untrained eye, there are differences in style, design and material quality that have a clear impact on tool performance, cost and your bottom line. About 20 years ago, carbide-tipped drill bits, previously manufactured for the most part in Germany and Italy, were largely replaced by the “invasion” of Chinese and Taiwanese bits offered at a 30-40% reduction in price. The adage, “you get what you pay for“, applies here just like everywhere else in life. While the initial cost of the bit goes down, production costs actually go up as a result of shorter tool life, lower quality of edge, increase in tool changes and more panel rejects. 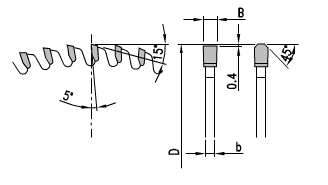 The difference between a Taiwanese and German drill bit is quite noticeable as the German bit has a faster twist which results in quicker chip evacuation, less heat and thus, longer life, not to mention better engineering of clearance angles and tip geometry which impacts the finish quality of the cut. 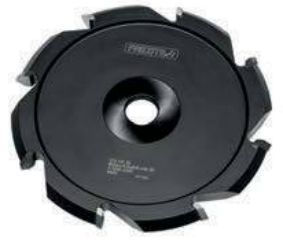 The German bit is King in solving applications that are prone to problems, such as laminated “disks” getting stuck in the dowel point, irregular (egg-shaped) holes, burning, premature wear and edge chipping on the hole. Solid carbide drills have also gained popularity and are available in several of the more popular diameters. For those seeking the ultimate in quality and unbeatable performance, PCD (polycrystalline diamond) drill bits have made their debut and are the standard for composite materials! 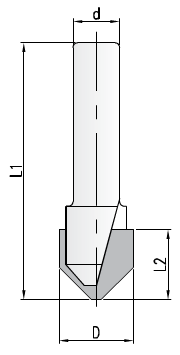 While the diamond drill bits are limited to certain sizes, they are available in Dowel, Through Hole (V-Point) and Hinge style with overall lengths of 57 and 70 mm. These high performance drill bits are ideal for drilling abrasive materials including MDF, particle board, laminates, fire resistant boards or gypsum based materials. So, if you haven’t given much thought to your drill bits, perhaps it’s time to consider the options? Interested? You can contact us and we are happy to help! Posted in CNC Router Tooling, Diamond Tooling, Drilling & Boring, FAQ, Materials, Woodworking | Comments Off on The drill on drill bits!